When I wrote about my half marathon “results,” a few people mentioned that running tends to add weight because of the increased muscle mass in your body. I get that. But I’m not ready to give running. I started running cross-country when I was in sixth grade. I couldn’t even run all the way around the track, but I still signed up to run 2 miles. And I did. Over and over and over again. I was never fast, but I never quit. I don’t find training fun. But I do think it’s empowering and invaluable. Whether it’s a hot summer day or cold, windy day in the winter, almost nothing prohibits me from running. The most exhilarating part of running is the races. That is the part I love and that is why I will not stop. 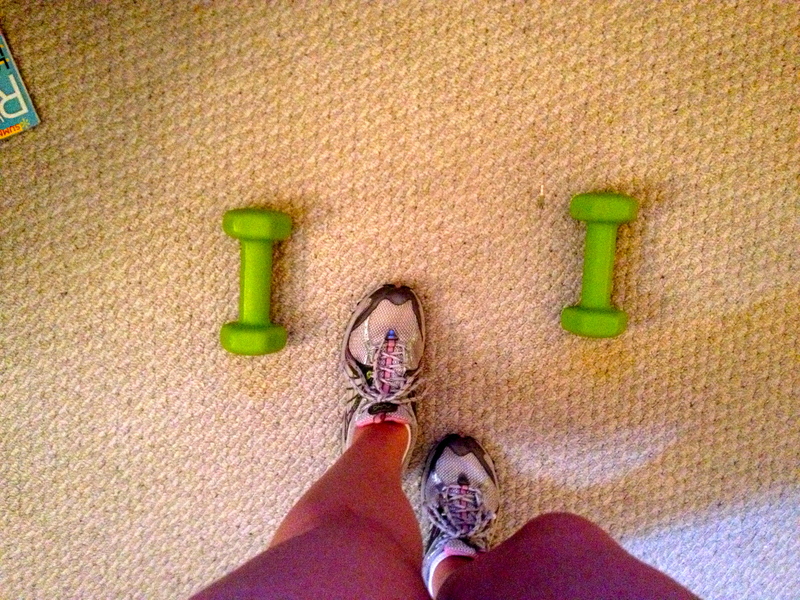 When I started training for the half marathon, I was in the middle* of a strength training program. I was still running or doing some form of cardio a few days/week. I was running ten minute miles and I had one of my best 5Ks since finishing cross-country. I tried to combine the two training programs, but I just couldn’t. I was doing this on my own and didn’t want to push my body too far. There just wasn’t enough time in the day. I am back to the strength training program. I love it. It is changing the way my basals act, and I kind of love it. It’s changing the way I feel about ME too, which is what this is all about. I combine strength & cardio two days/week, cardio only two days/week and strength only one day/week. The HIIT workouts on the combination day are intimidating & awesome. I’m not bored anymore. So far, my favorite are the leg kicks. The strength workouts change daily, but the way they’re completed also changes every month. I just love it. Also, this week I was able to change my cardio. I went for a 3 mile run (a little shorter because I was interrupted by a turkey squawking at me) and I swam laps. I LOVE being in the pool. To feel this awesome and NOT BORED about working out again is awesome. I’m hoping to continue long distances, but that is no longer my focus and I feel as though a weight has been lifted off of my shoulders. *To me, there is no end date to a workout program, or other healthy habits. In order to continue with these healthy habits, this is how I have to view them. You sound just like me! I was doing strength training back in April/May but when I signed up for the half marathon training it was too much to run 4 times a week and do the strength training. And I love your *quote.